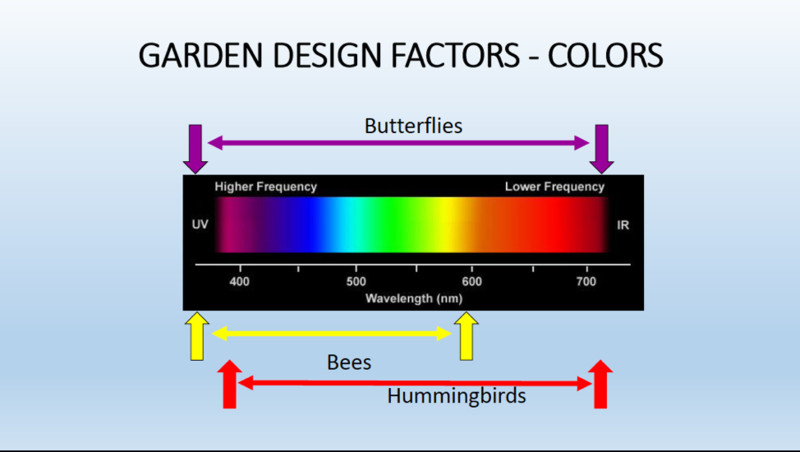 Pollinators are primarily insects that help transfer pollen. 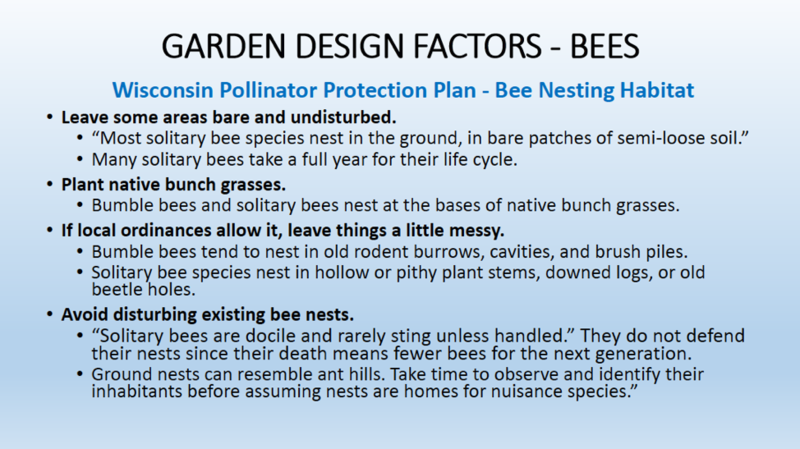 Bees are the most important and efficient pollinators. They purposefully seek and gather pollen for food. Their bodies have features to gather and hold pollen. 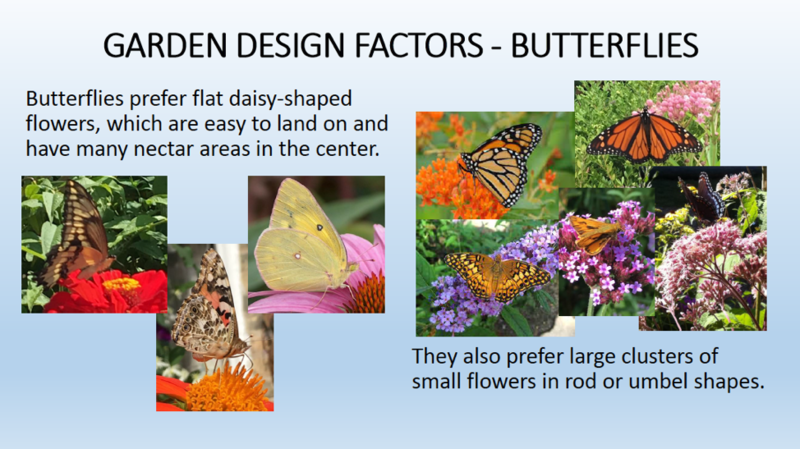 Most other pollinators seek nectar and only incidentally transfer pollen, such as bugs, butterflies, and hummingbirds. They lack hairs to gather and hold pollen. They sometimes damage or eat pollen or parts of plants. Pollinators are essential because 75% of the world’s major food crops require or benefit from pollinators. About one third of the food we eat needs animal pollination. In Wisconsin, pollinator dependent crops account for over $55 million in annual production, and honey and beeswax add another $3.5 – 4 million. Bees can’t fly very far, so local farms and home gardens need local bees. Fragmentation of larger habitat lands into small unconnected areas. 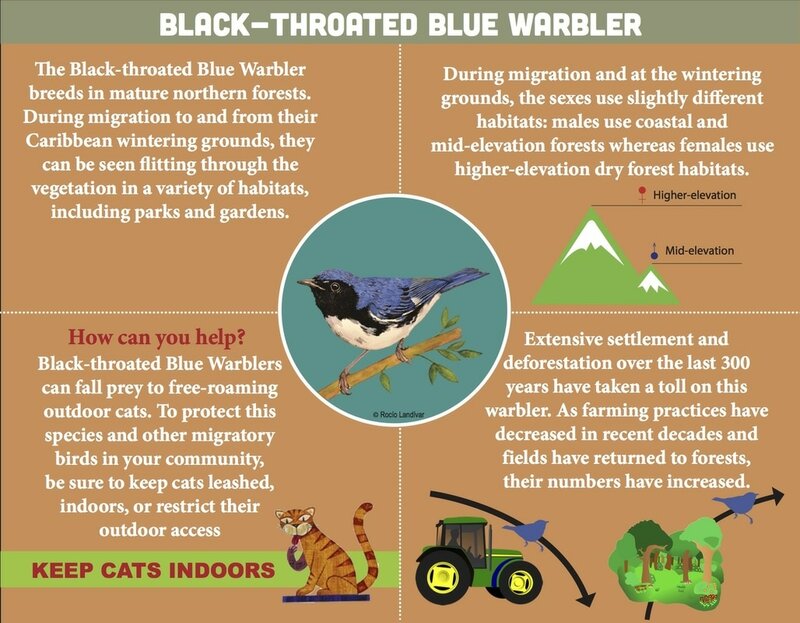 Destruction or disturbances in nesting areas, annual native bees lost. Use of herbicides to clear areas around commercial farm crops, roadsides, right of ways, and residential yards. Some farmers, agencies, and municipalities beginning to change. 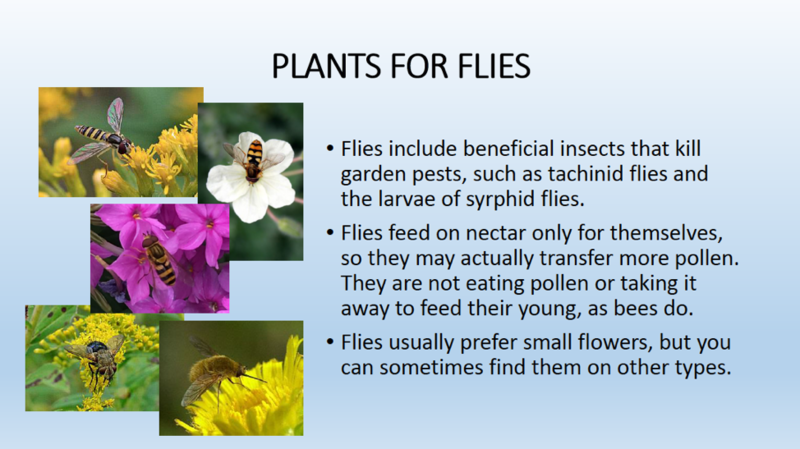 Pests and diseases also have impacted the numbers of pollinators. 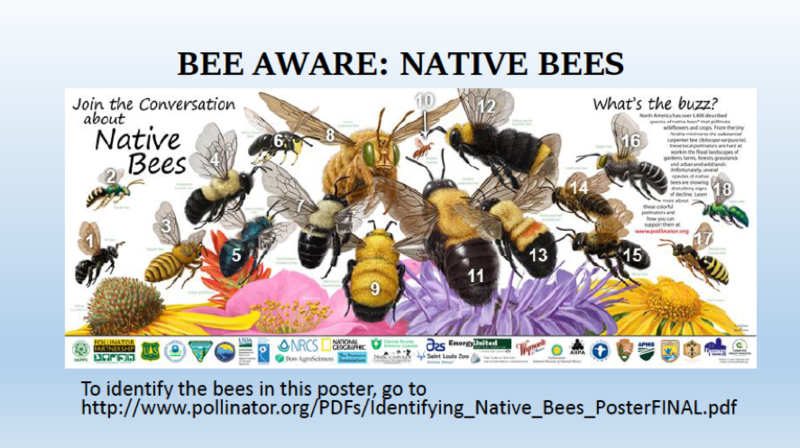 HOW CAN YOU SUPPORT POLLINATORS? 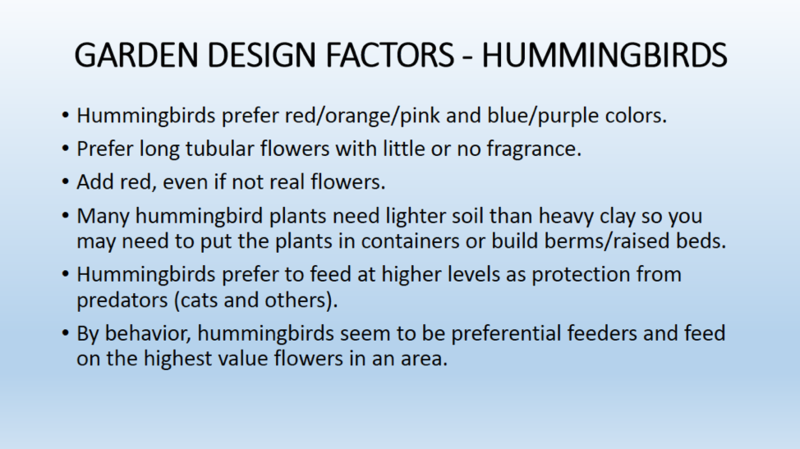 Choose plants that suit your yard, considering soil type, drainage, slope and amount of available sunlight. 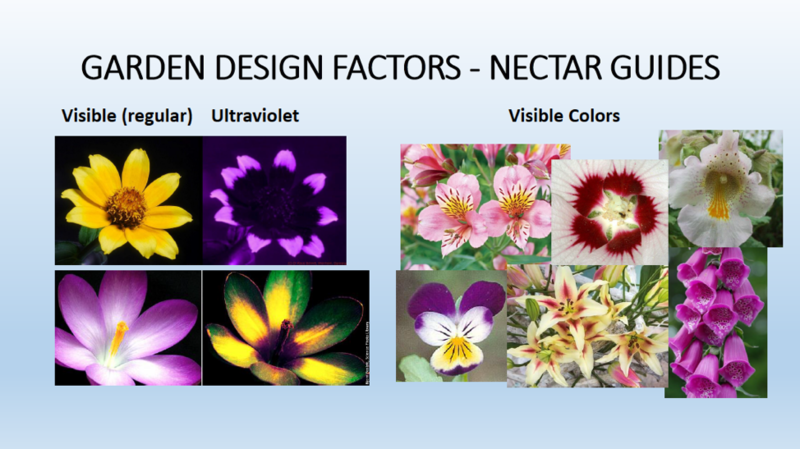 Choose a variety of flower colors. 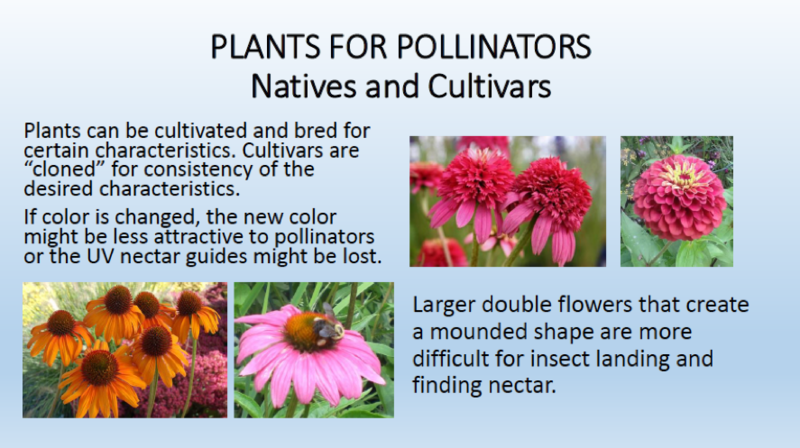 Incorporate native plant species into your garden. 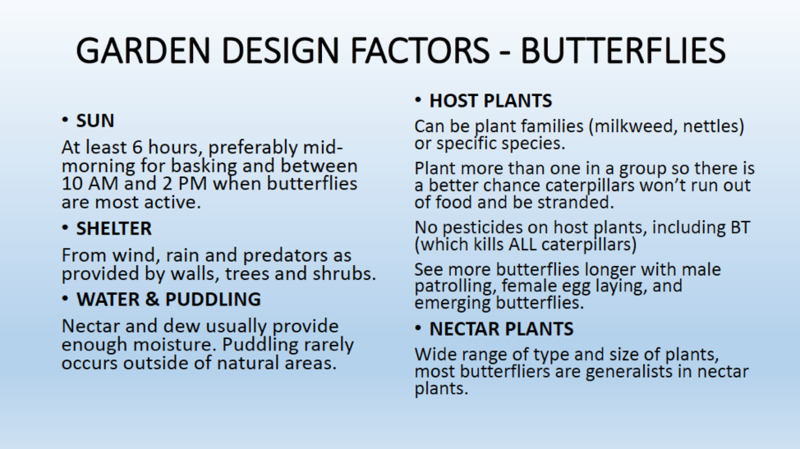 Gardens with native plants tend to attract more bee species and support more butterfly and bird species than those dominated by introduced ornamentals. 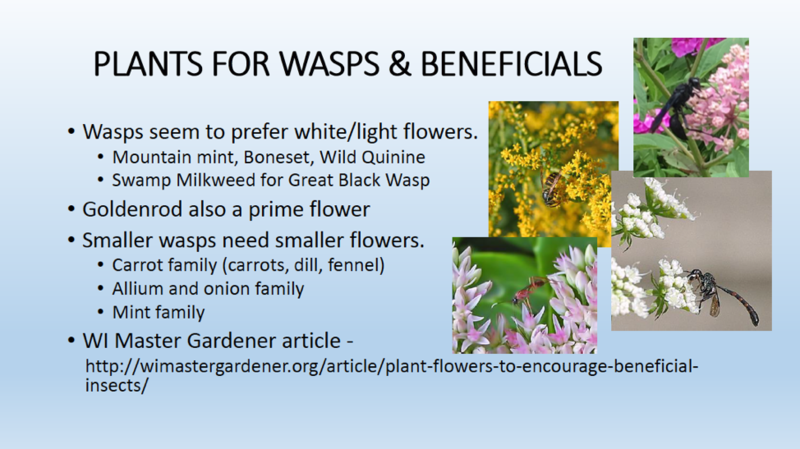 Avoid invasive plants, noxious weeds, and highly modified cultivars. If local ordinances allow it, let dandelions, clover and other flowering lawn plants bloom. 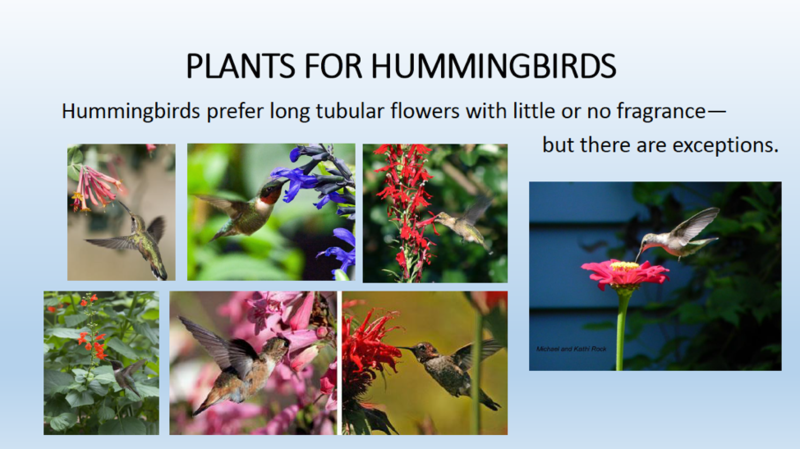 These can provide important early season pollen and nectar sources when other floral resources are sparse. Before applying an insecticide to treat lawn pests, mow to remove any clover or dandelion blooms that might attract pollinators. By the time flowering lawn plants regrow, insecticides will be less present in nectar and pollen. 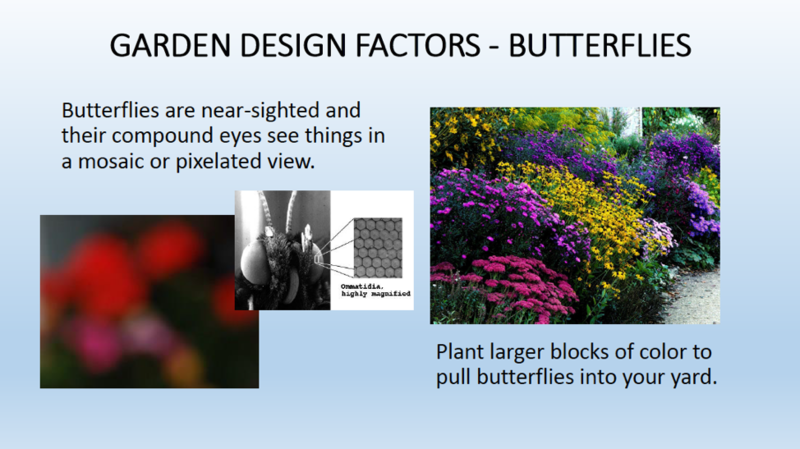 What factors should you consider when designing a pollinator friendly garden? As you weed your garden remember that how you dispose of invasive plants is important to keep the plants from spreading. The Village of Whitefish Bay has guidelines for proper disposal of plants such as garlic mustard. Below we are reprinting an article published by the Village in Bay Leaves several years ago. WHAT DO I DO IF I FIND GARLIC MUSTARD IN MY YARD? Garlic Mustard is an invasive species and Whitefish Bay has the perfect climate for these plants to survive. If these plants are left to grow they will spread into lawns, gardens, and wooded areas and choke out the existing vegetation. If you spot garlic mustard on your property, please hand pull it out of the ground. It is best to remove the plant when the soil is damp and before it begins to flower. Throw the entire plant including the root ball in a heavy clear plastic garbage bag and close it up. If you have a small amount you can put it into a small clear plastic bag and into your garbage container. If you have a large amount, put it into a heavy plastic garbage bag and label it garlic mustard. Leave the bag next to your garbage cans. Our garbage collectors will pick it up with your weekly trash. Please do not put the garlic mustard in yard waste or your compost pile. Yard waste is composted and the garlic mustard will contaminate the compost and further spread. Cutting the plant is not recommended as it has to be done at a certain period of time or the plant will re- sprout. QUESTIONS REGARDING THE DISPOSAL OF GARLIC MUSTARD CAN BE DIRECTED TO ENGINEER@WFBVILLAGE.ORG. Watch Out for Crazy Worms! Amynthas Agrestis Crazy worm, is an invasive earthworm now active and found in Wisconsin. Originally from East Asia, this damaging pest was first found in Wisconsin in 2013. Crazy Worms are also sold under the names of Alabama jumpers and snake worms. They are a PROHIBITED species under Wisconsin's Invasive Species Rule NR 40. You can recognize the worms because they act just like their name: crazy, jumping and thrashing when handled. If you pick one up it may shed its tail and act like a threatened snake. These worms can be from 1.5 to 8 inches long with a narrow band around their body (clitellum) that is smooth and milky white, unlike other species that have a raised clitellum. Crazy worms are asexual and reproduce easily, maturing in just 60 days. In one year they can have two hatches. It is easiest to see them in late June and early July. Populations double from September until the first hard frost, enabling them to double their population and do significant damage. What's the Problem with Crazy Worms? These pests change the soil and disrupt natural decomposition of leaf litter on the forest floor. The worms "turn good soil into grainy, dry worm casings (poop) that cannot support the understory plants of our forests" (Wisconsin Department of Natural Resources ). Crazy worms cause the death and destruction of other plants, animals, and fungi because the understory community can no longer support them. In residential and urban areas, ornamental plantings and turf are damaged by the worms. The voracious appetite and speedy life cycle of these worms give them a competitive edge, causing long term effects and damage to Wisconsin forests. 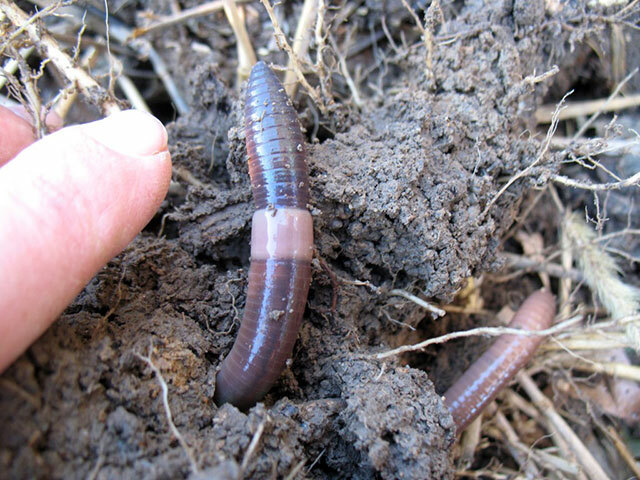 The Wisconsin Department of Natural Resources believes that crazy worms are not yet wide-spread in Wisconsin, but since they reproduce and spread so quickly it is vital for the DNR to learn where they are and reduce their spread. For additional information visit www.dnr.wi.gov and search for "Invasive earthworms". Garlic Mustard, ​Alliaria petiolata, is a common invasive species in Wisconsin. It can be found in backyards and woods. 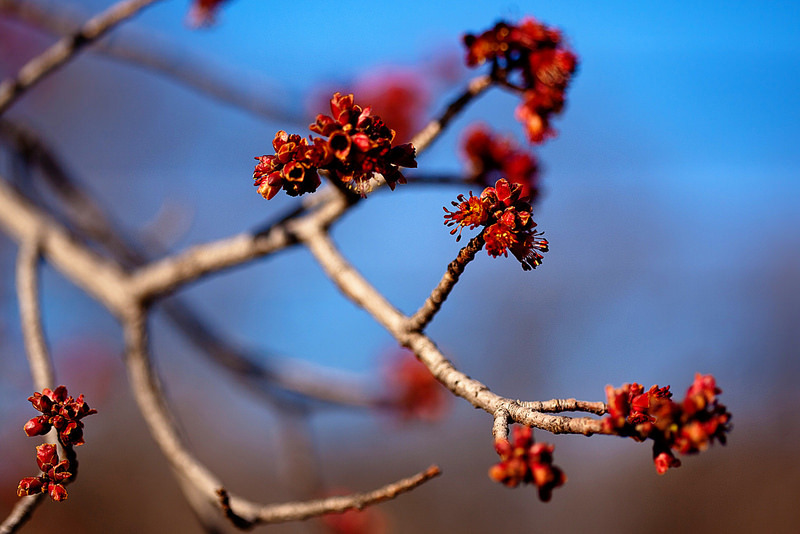 Our community is working to reduce and eliminate its harmful effect on native plants. 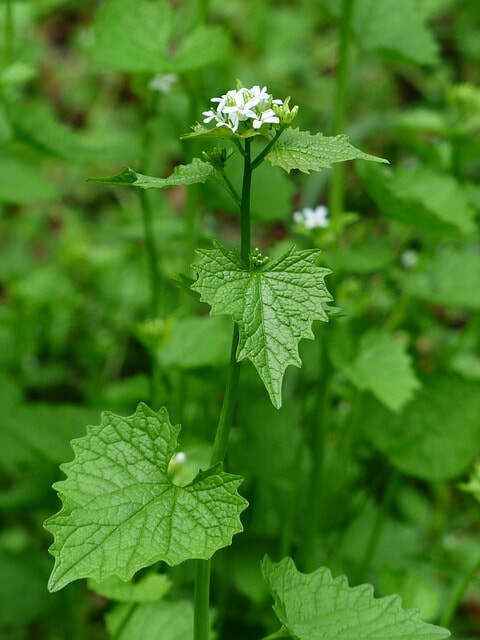 The Wisconsin Department of Natural Resources compiled a factsheet that describes how to identify Garlic Mustard, and then how to eliminate it. Click on the Garlic Mustard factsheet to learn more about this problem.